It's all about the screen. 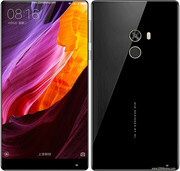 Xiaomi installs a huge 6.4-inch screen in a casing that is just a bit bigger than those of conventional premium-range smartphones into its new high-end phablet. Starting at a price of around 700 Euros (~$737), it is not exactly a bargain. Is importing the innovative handset worthwhile anyway? This is a really great display overall. The only area where the MIX falls a little short is white balance, which is a little cool by default. It’s not nearly as bad as what we’ve seen on other Chinese phones, though, and it probably will not bother most people. Xiaomi provides the Cool and Warm color modes to shift the white point, but it would be nice to see finer grained controls. 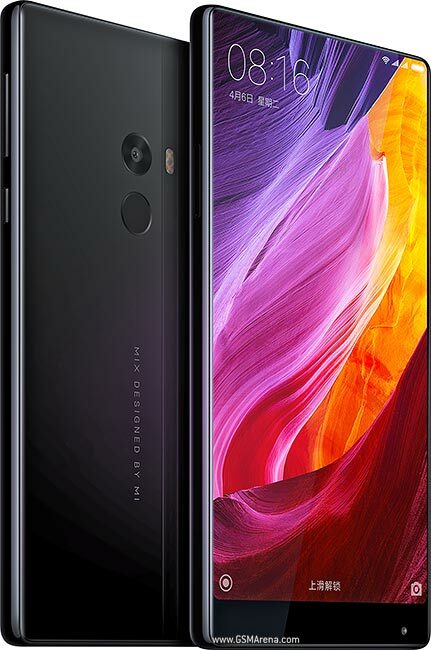 The Mi Mix, for your reference, starts at RMB 3,499 (roughly Rs 34,500) for the base 4GB RAM and 128GB memory option while the top-tier 6GB RAM and 256GB storage option is available for RMB 3,999 (approx Rs 39,500) in China. It might sound expensive, but the £799 Xiaomi Mi Mix actually offers very good value when you consider its meaty core hardware and generous 256GB of storage - it's certainly less than you'd pay for an iPhone 7 Plus. This isn't a phone you buy with budget in mind, however: the Mi Mix is the phone you buy when you want onlookers to say "Oh my gosh, what is that? It's amazing - I want one of those!" The Mi Mix is a revolutionary phone that we hope is a sign of things to come, with that gorgeous bezel-less display, beautiful ceramic body, fantastic performance, long, long battery life and all the other fancy tech we can't even pronounce, let alone understand. No matter - it works. Highly recommended. There’s a lot to like about the Mi Mix - but it isn’t faultless. Beyond that stunner of a screen, its resolution could stand to be be higher, and camera quality is only average. 90% Mi Mix review: Revolutionary Xiaomi Mi Mix is breathtaking with its bezel-less display, gorgeous build and flawless performance - now with £100 off! The Xiaomi Mi Mix is gorgeous to look at and, once configured, superb to use, with high spec components throughout, camera permitting (for space reasons). As Unique Selling Points go, having almost zero bezels on three sides comes pretty high on the list and I wouldn’t be at all surprised to see more and more smartphones come with similar designs in 2017. Imagine a phone with a 5.5” display in the body of what normally houses a 5” screen. Oh wait, such a Mi Mix ‘nano’ is already rumoured from Xiaomi – but they won’t be alone here. All I’m asking, aside from a properly thought out ‘world edition’ in terms of updates, bands and regions, is that the polished ceramic finish be dialled down somehow – smartphones don’t need to also be works of art! Xiaomi has launched this amazing piece for mass market as compared to other edgeless screen phones, which are available in extremely limited numbers (and places). Xiaomi was brave enough to go for something rather new, instead of pushing the limits of performance, screen resolution, camera skills, or battery endurance. Design is where Xiaomi desired to make a difference and an edge-to-edge screen is a game-changer in this department. The Xiaomi Mi Mix is a glimpse of the all-screen future of phones. But Xiaomi needs to improve on basics like the camera and find a way to make more of these before we can wholeheartedly recommend it. 83% Xiaomi Mi MIX Review – all screen, almost all of the time! Chinese users will get a big kick out of using this phone on the daily, especially those that consume and stream media a lot (a highly common occurrence in the East). And for a concept phone, it is surprisingly affordable – the RMB price roughly converts to just over $500 in the base model. This is mostly due to the small quantities that Xiaomi is actually manufacturing – they want to get the phone in as many hands as possible without creating so many that the price needs be higher to cover those costs. So in all, Xiaomi’s Mi Mix is not a phone without flaws. But if you want the latest, coolest tech that will catch other people’s eye, the Mi Mix is it. There’s no other phone on the market like it, and it makes the the iPhone and Pixel look outdated. Tech geeks are always complaining that smartphone designs have become boring. Well, this is anything but. The beautiful, innovative design of the Xiaomi Mi Mix has its compromises, but you'll happily deal with them to hold a phone from the future. The Mi Mix costs a mere 3499 Yuan, which translates to about Rs. 35,000. So, it’s essentially a phone that feels more premium than a Google Pixel XL, is just as fast, but is priced nearer to the OnePlus 3. While it isn’t comparable to the best flagships in all aspects, it’s a glimpse at where the competition is going to be in future. You won’t get very good mileage with a V12 Lambo. Nor will you be able to park it, or see out the back of it, or drive it in narrow town streets. Plus, it might catch fire in a traffic jam. But you’ll love a big V12 Lambo and I think love is the best way to describe my feelings towards the Mi MIX. So there you’ve it: the big surprise that is the Mi MIX. My hunch is that two things motivated Xiaomi into making this phone. One is to shake off its copycat reputation, which unfortunately has surfaced once again in some people’s minds because of the Mi Note 2. The other is a response to some critics (maybe even some of its most ardent fans) who observed that its recent phones all kind of look very similar to one another. Xiaomi MIX is the first smartphone to keep the balance between high-end specs but also design and price. More importantly, it only sells at 3499 yuan,$583 which makes us give them five start good comment. Although the stock is not stable, we think it will not stop our passion for grabbing one. Come on. This Mi Mix is very interesting. It might be the first time we see both the ultrasonic proximity sensor and the piezoelectric acoustic technology in the same device, and the fact that they come in such a beautiful package make them even more intriguing. I hate large bezels just as much as the next guy/gal, but I'm not sure I'd like an almost bezel-less phone. Where would I rest my fingers? How would I hold it? How durable is the frame with such a large display when surviving a fall? And would I spend my time wiping the screen from fingerprints now that I have to put my grubby mitts on it to even hold the phone? Gah. Too many questions that I can't answer because this is only being released in China. Xiaomi can make some truly remarkable devices; the Mi Mix is really a testament to that. However, I still think the company can still work on its software: MIUI 8 still doesn’t feel quite as polished and refined as other versions of Android. Positive: Fast fingerprint sensor; high performance; long battery life; impressive display; decent speakers. Negative: Slippery; large size; heavy; poor cameras. That said, do not discount the fact that this will be a blueprint of sorts for smartphone designs of the future. There is a lot of tech that goes unnoticed underneath to make something like the Mi Mix a reality. And let’s also not forget that this is actually a working device that goes on sale in a week’s time; this phone is right up there with the best of today’s flagships with its hardware set. Positive: Decent speakers; elegant design. Negative: Mediocre ergonomy. Smartphone designs today are beginning to be very predictable. After all, how much different can your rectangular slab be? As it turns out, quite a bit still, as Xiaomi showed earlier with its “concept” phone, the Mi Mix. Positive: Decent speakers; fast fingerprint scanner; good cameras; elegant design. Negative: Relatively large and heavy. 89% Mi Mix, análisis: un magnífico concepto que Xiaomi convirtió en realidad, ¿quién copiará a quién? Positive: Compact size; stylish design; large screen; excellent display; long battery life; quick charge. Negative: Slippery; mediocre speakers; relatively high price. Positive: Nice design; decent hardware; fast fingerprint sensor. Negative: Poor cameras; high price. Positive: Stylish design; good hardware; nice performance; decent display. Negative: Poor cameras. Positive: Elegant design; high performance; nice screen; decent hardware; flexible fingerprint sensor. Negative: Poor main camera; high price. Positive: Large screen; beautiful design; low price. Negative: Slippery; broken easily. 83% Recensione Xiaomi Mi Mix: punta di diamante! Positive: Elegant design; nice display; USB-C. Negative: Poor cameras; mediocre speakers; high price. Positive: Elegant design; decent hardware; long battery life; fast charge; large screen; nice display. Negative: Poor cameras. Positive: Attractive design; good cameras; decent cameras; high autonomy. Negative: Unsupport waterproof and dust avoiding. Positive: Elegant design; decent display. Negative: Poor cameras. Positive: Long battery life; fast charge. Negative: Slippery. Positive: Nice design; long battery life; quick charge. Negative: High price; slippery; poor cameras. Positive: Large screen; nice design; decent display; high autonomy. Negative: Easy to save fingerprints on backside; poor cameras. 60% Test Du Xiaomi Mi Mix : Que Vaut Le Pionnier Du Borderless ? 84% Test : Xiaomi Mi MIX, ce smartphone sans bord est-il à la hauteur de nos attentes ? Positive: Good display; elegant design. Negative: Poor cameras. Positive: Elegant design; bright display; good hardware; nice performance; fast charge. Negative: Poor cameras; relatively high price. Mniejszy Xiaomi Mi MIX w drodze? Positive: Nice display; decent hardware. Negative: Limited quantity. Positive: Stylish design; nice performance; good display; long battery life. Negative: Poor cameras. Positive: Stylish design; nice performance; good display; decent hardware. Positive: Impressive design; nice display; long battery life. Negative: Heavy and bulky. Positive: Low price; good screen. Negative: Slippery. Positive: Impressive design; large and bright display; decent hardware; dual sim; high performance; quick charge. Negative: High price; relatively heavy; poor cameras; poor display. Positive: High performance; flexible fingerprint reader. Negative: Large and heavy; no memory card slot. Positive: Impressive design; high performance; excellent display; long battery life. Negative: Incomplete LTE connectivity; poor cameras; mediocre speakers; high price; slippery. Positive: Elegant design; nice display; powerful hardware. Negative: Relatively high price. Cận cảnh smartphone không viền Xiaomi Mi Mix trắng Ngọc Trinh: Đẹp đến nao lòng! Positive: Beautiful design; impressive color. Positive: Beautiful design; good hardware; decent display; fast fingerprint sensor; quick charge. Positive: Large screen; good display; decent hardware; high autonomy; fast charge. 86% RECENZIA Xiaomi Mi Mix: Vyskúšali sme telefón z budúcnosti, nemá takmer žiadne rámiky! 81.13%: This rating should be considered to be average. This is because the proportion of notebooks which have a higher rating is approximately equal to the proportion which have a lower rating.